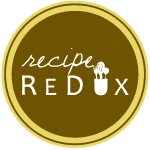 I was welcomed into the Recipe Redux community late last month and I am so thrilled to be part of a food-loving group of nutrition professionals. This month’s task was to concoct a dish using green herbs in a non-traditional way. Lightbulb moment: I decided to incorporate the warm, piney herb “thyme” into my award-winning lemon bars. Given that thyme has a subtle lemony-esque flavor profile, I was convinced that this would work. The result? The green accents from the fresh thyme leaves bring a lovely pop of contrast to the bright yellow lemon bars. This failproof dessert serves as an appropriate interlude into spring and summer. Lightly butter a 9 by 13-inch baking dish with 2 teaspoons of the butter and line with 1 sheet of parchment or waxed paper (or silcone baking mat). Butter the top of this sheet of paper with 1 teaspoon of the remaining butter and then lay a second sheet of parchment or waxed paper crosswise over the first sheet. The parchment should be cut large enough so that the sides are even with the top of the baking dish; this extra paper will function as handles to help you remove the lemon squares from the pan later. Set pan aside. In a large bowl combine 1 3/4 cups of the flour, 2/3 cup of the confectioners’ sugar, the cornstarch, and 3/4 teaspoon of the salt and mix thoroughly. Cut the remaining 12 tablespoons of butter into small pieces and add to the flour mixture. Using your hands, 2 forks, or a pastry blender, work the butter into the flour mixture until the mixture resembles coarse meal. Transfer the butter-flour mixture to the prepared baking dish and press into an even 1/4-inch layer along the bottom and partly up the sides of the pan. Refrigerate for 30 minutes. While the crust is chilling, preheat the oven to 350 degrees F.
Remove the crust from the fridge, and bake until golden brown, about 20 to 25 minutes. While the crust is baking, assemble the filling by combining the eggs, granulated sugar, flour, and lemon zest in a medium bowl and whisking until smooth. Stir in lemon juice, milk, and remaining pinch of salt and mix well. When the crust is golden brown, remove it from the oven and reduce the oven temperature to 325 degrees F. Stir the lemon mixture again, then pour onto the warm crust. At this point, scatter the thyme leaves all over the filling. Bake until the filling is set, about 20 minutes. Transfer to a wire rack to cool completely. Grasp the waxed paper that lines the 2 longest sides of the baking dish and remove the bars from the pan by pulling up gently. The entire dessert should easily dislodge and come away from the pan. Transfer to a cutting board and, using a clean knife, cut into squares, wiping knife after each cut. Place a small amount of confectioners’ sugar into a small sieve, and sprinkle the bars with the sugar to decorate. Serve immediately, or refrigerate, wrapped with plastic wrap, up to 2 days, until ready to serve. You may have heard “Mediterranean Diet” years ago, when it first hit the mainstream media touting its weight management and heart health properties. Now, the topic is back in the spotlight after a groundbreaking study blew us out of the water. We knew that Mediterranean Diet was low-glycemic in nature, bolstered by fruits, vegetables, beans, and a drizzle of healthful fats like olive oil. (And wine if you so choose…) What we didn’t have evidence of, was the effect that a well-balanced Mediterranean diet has on heart health, specifically. Of all the coverage, I think that the NY Times does a nice job of summarizing the study design and findings. The researchers out of the University of Barcelona in Spain did their homework by traveling the world to query experts about how the link between diet and heart disease risk. For the study itself, the researchers randomly assigned participants, who were at high risk for heart disease into three groups. One group was given a low-fat diet and counseled on how to follow it. The other two groups were counseled to follow a Mediterranean diet. At first the Mediterranean dieters got more intense support. The NY Times reports that the “members of the low-fat group just got an initial visit to train them in how to adhere to the diet, followed by a leaflet each year on the diet. Then the researchers decided to add more intensive counseling for them, too, but they still had difficulty staying with the diet.” The results were so striking that the researchers decided to stop the study prior to its scheduled end date, as they felt that it was unethical to keep a group of people on a conventional “low-fat” diet. Overall, the research demonstrated that eating a plant-based Mediterranean diet with nuts or olive oil brings an almost 30 percent reduction in heart disease risk! One group assigned to a Mediterranean diet was given extra-virgin olive oil each week and was instructed to use at least 4 four Tablespoons per day. The other group got a combination of walnuts, almonds and hazelnuts and was instructed to eat about an ounce (aka hefty handful) of the mix each day. It was gently reminded that participants stay away from cookies, candies, cakes, processed foods and limit intake of dairy and processed meats. Mainstays of the Mediterranean Diet: At least three servings a day of fruits and at least two servings of vegetables per day. Participants were to eat fish at least three times a week and legumes, which include beans, peas and lentils, at least three times a week. They were to eat white meat instead of red, and, for those accustomed to drinking, to have at least seven glasses of wine a week with meals. Isn’t this music to your ears? Beware, though, this isn’t a prescription to go out and eat a high fat diet! But, realize the power of healthful, satisfying fats in your diet. The bane of the low-fat diet is the constant search for satiety, or fullness and satisfaction from a meal. Hopefully, we’re moving past that, thanks to research like this! To hear more about the merits of the Mediterranean diet, visit ABC News.